Fitness devices usually target athletes. Samsung wanted to change that with Move: a collection of fitness devices for everyday people. 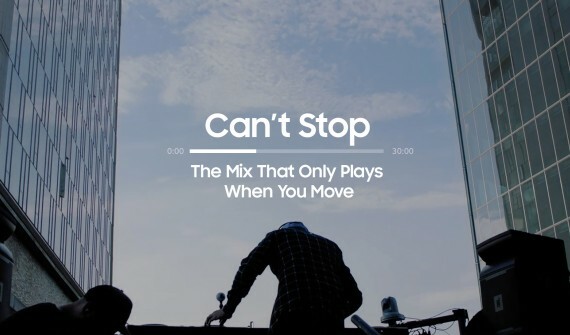 To engage consumers, we created “Can’t Stop”: an exclusive mix that only plays when you move. The mix—by sought-after music producer Diplo—plays as long as the mobile site detects movement via your phone’s GPS and accelerometer. To hear the whole mix, you have to move for 30 minutes straight. Jump, run, dance, pogo—we don’t discriminate. Just don’t stop.